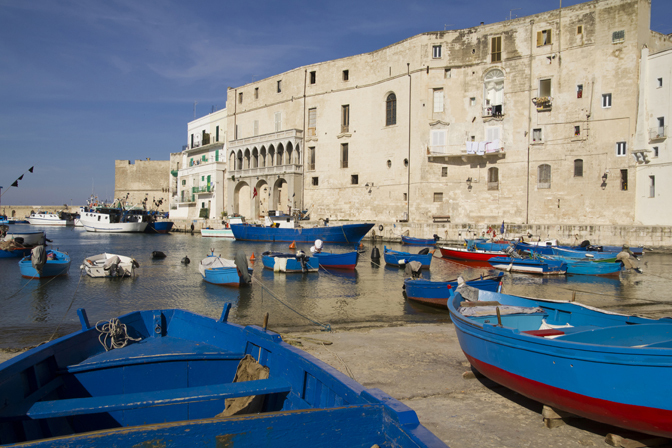 Puglia, located on the “heel of the Italian boot” could easily compete with Tuscany as a favored destination in Italy. This sun-drenched region with the Adriatic coast on one side and the Ionian Sea on the other is so rich in history and culture, it just must be seen to be believed. One visit to this truly authentic land and in no time at all, you will find yourself falling for its charms. 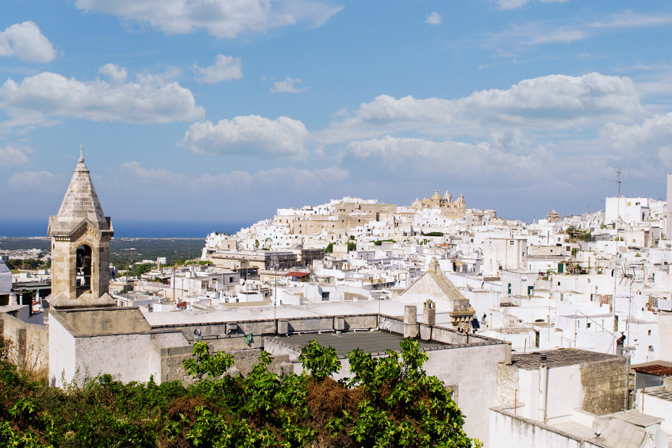 How could I keep all I know about Puglia under wraps? It just wouldn’t be right! For these and many other reasons, I have added a culinary trip to Puglia to Delectable Destinations itinerary. Imagine 450 miles of coastline from the crystal blue waters of the Adriatic and the golden beaches down on the Salento peninsula, agricultural landscapes lined with 60 million olive trees and sharing space with the vineyards of the area’s growing winemaking industry. Picture in your mind the bluest seas, the most charming little towns, Baroque and Greek architecture and some of the most welcoming people in all of Italy. Imagine yourself surrounded by all this beauty, culture and its exquisite organic cuisine. The cucina of Puglia is rustic, centered on this rural region’s native hard wheat, exceptional produce, extra-virgin olive oil, and probably Italy’s most amazing bread, baked in wood-burning ovens. This area is also home to delicious burrata cheese, a creamy mozzarella and must try for all food and cheese lovers! This lesser visited region of southern Italy is one of most beautiful places I’ve seen and it surprised me in the most unexpected way. It is scruffier than picture perfect, more rustic than glamorous and more relaxed than frenzied. I discovered many wonderful surprises when I visited Puglia to prepare a new Delectable Destinations itinerary; did you know that there are seven Unesco World Heritage sites in Southern Italy and Puglia is home to three of them? 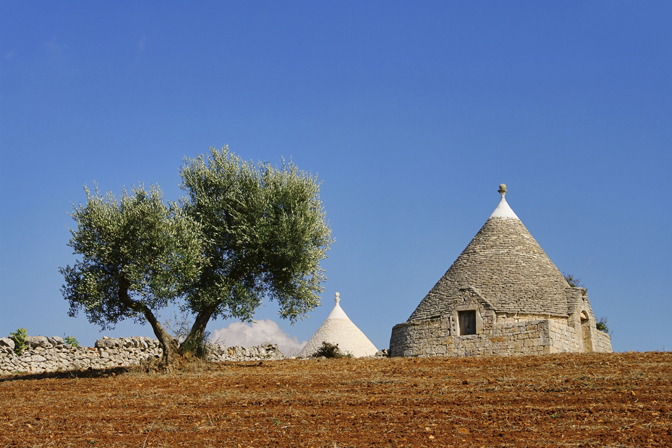 One of these sites is Alberobello, famous for the famous Trulli, traditional dry stone huts with a conical roof. Another is Lecce. Know as the ‘Florence of the South’ this picturesque town is famous for its rich Baroque architectural monuments. 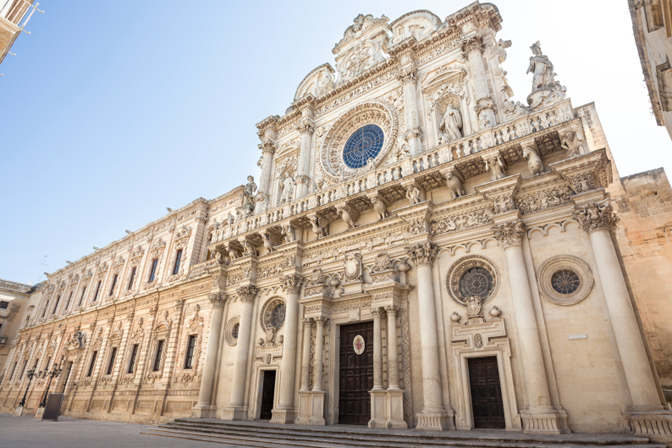 Every step you take in Lecce is a piece of history revisited. Gallipoli is a beautiful and historical old town with beautiful beaches and clear water. A must do is a visit to the small seafood market with the freshest local seafood including their speciality, sea urchins, and don’t miss the the most visited karst caves in all of Italy; the Castellana Caves in Bari. 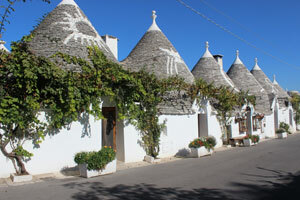 Highlights of this luxury culinary tour to Puglia, will include cooking with Michelin star Chef Antonella Ricci, owner of the famed Michelin star restaurant Al Fornella Da Ricci, baking with celebrated pasty chef, Tiziano Mita, dining at the stunning estate of Masseria Le Fabriche, a 17th century stone farmhouse surrounded by 20 hectares of grapevines and centuries-old olive trees, just to name a few. 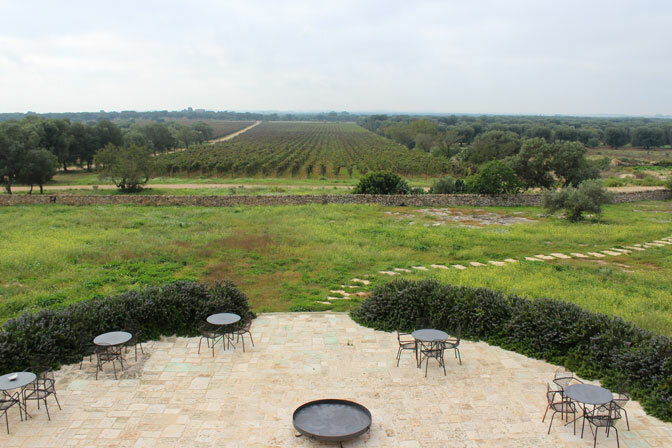 Accommodations will be at the 5 star property of La Sommita Relais Hotel, in Ostuni, one of most beautiful towns in Puglia. This trip is a food and wine lover’s dream trip, with all the bells and whistles!